An Electron-based desktop client for Microsoft Outlook. 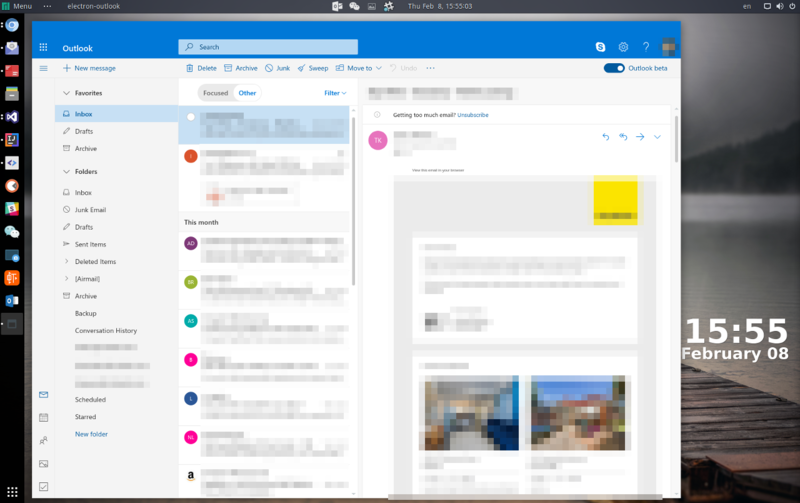 Freelook, an Electron-based client for Microsoft Outlook. Clone the repository and run in development mode. This will build an AppImage in the dist folder. This file can be run in most popular linux distributions. The released application can be downloaded here.